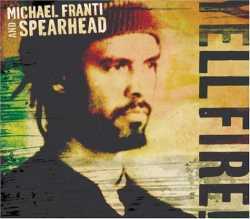 Inspired by his 2004 trip to the war torn regions of Israel, Palestine and Iraq Michael Franti of Spearhead is back with his most conscious release ever. Lyrics like "music is too big for just one station," "love is too big for just one nation" and "God is too big for just one church" continue to drive the point home. Yell Fire holds nothing back politically but never comes off as overbearing. As always Franti delivers Yell Fire in his trademark alt-Jamaican style complete with lots of infectious grooves. This album is not only another thought provoking release from Franti, but it represents a peaceful protest from a man committed to peace, love, and spiral enlightenment.